Effortless protection for prestigious spaces. 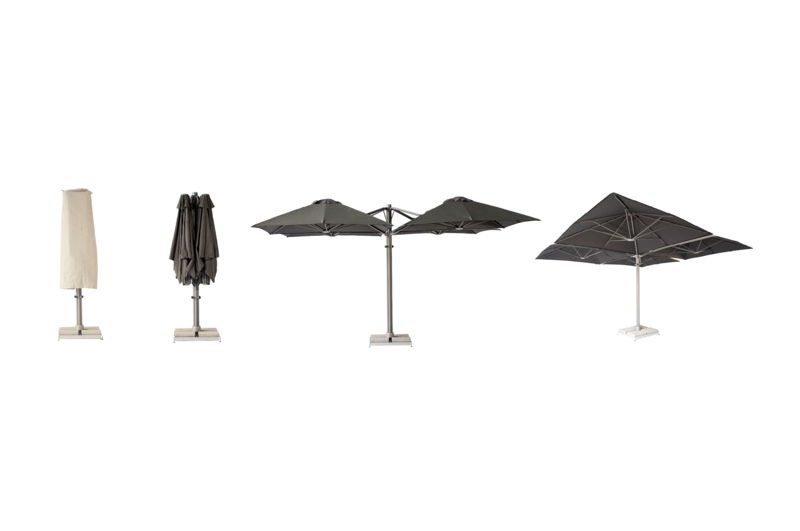 Our prestigious, flagship model - the SU6 Multi Canopy Cantilever Umbrella. 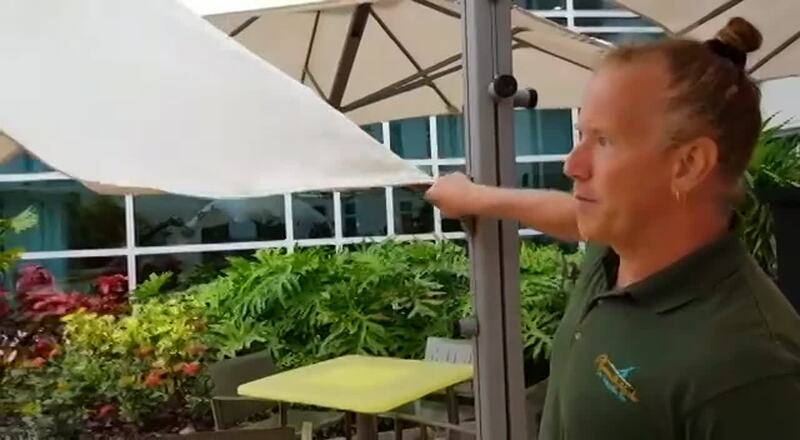 This incredibly strong umbrella system has the ability to mount up to four umbrellas off just one heavy duty mast. 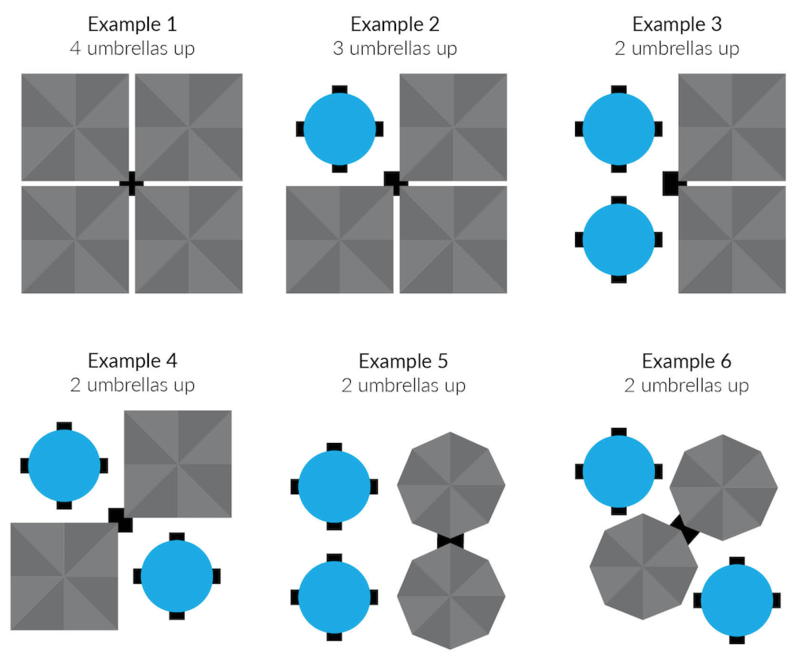 Each umbrella is separately operable allowing for great flexibility, enabling you to determine and cater for what size area you need to provide shade for. This also means that 1 or 2 umbrellas can be purchased to start, with the ability to add additional umbrellas retrospectively. 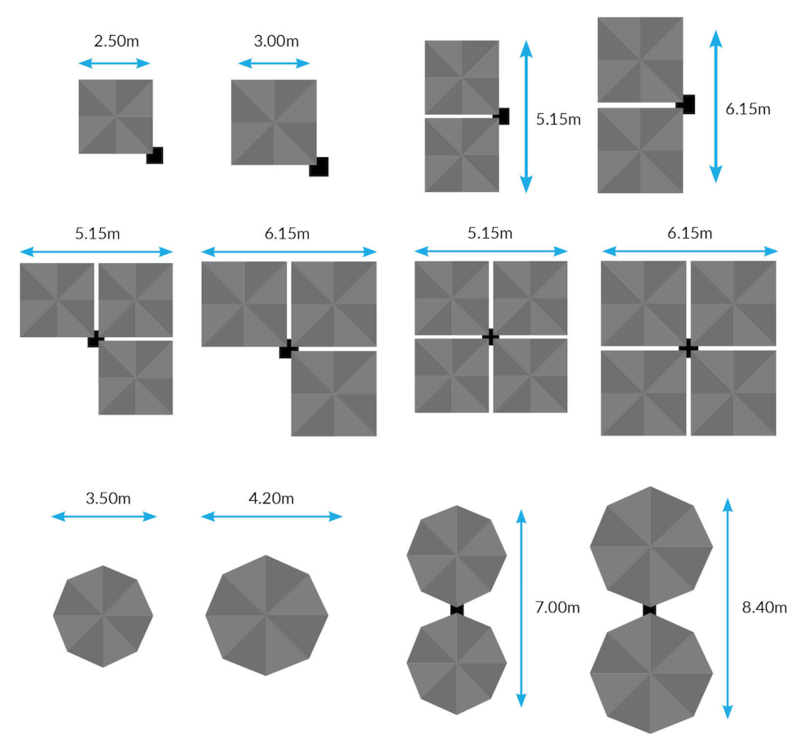 Various options are possible in both square and octagonal configurations, with multiple base fixings available including Surface Plate, In-ground Anchor and Portable Base. 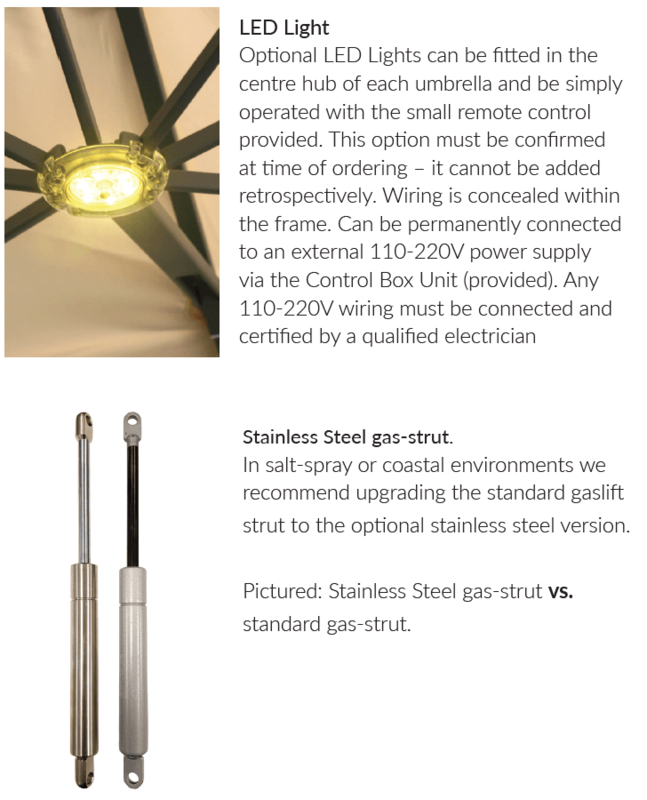 Optional LED lights can be fitted to the centre of each hub, and is simply operated via remote control. This is not able to be added retrospectively, so must be considered at time of ordering! 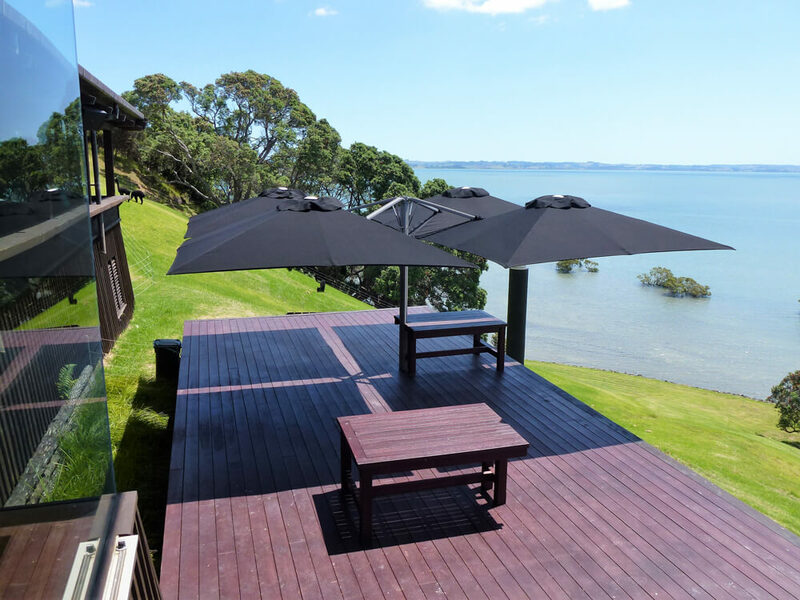 Rain gutters are also available as an optional extra, allowing adjoining square umbrellas to be connected and so increase the weatherproof area. 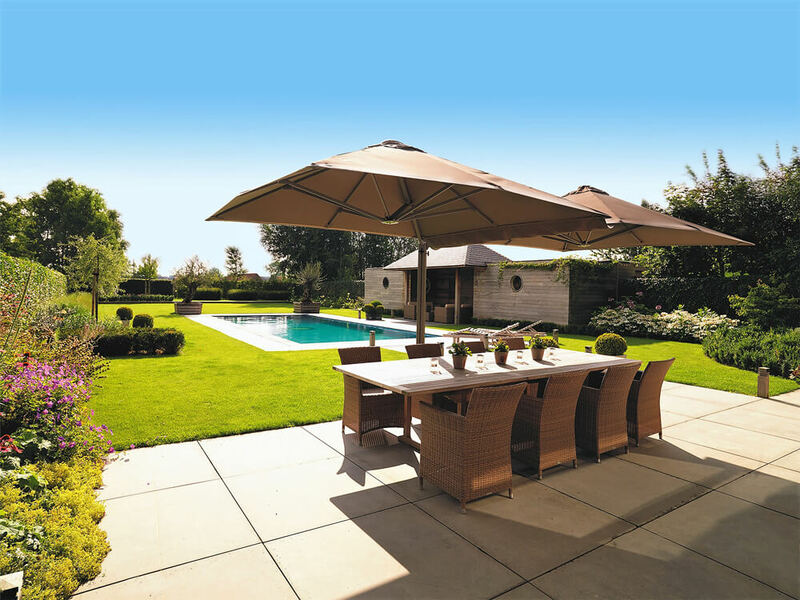 It is the ideal hospitality umbrella, while also being a viable option for residential use. 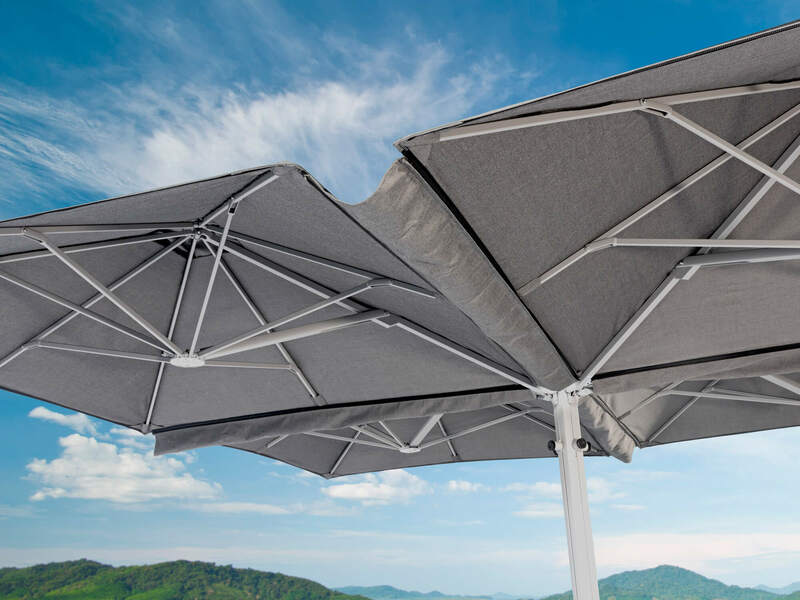 Mounting 2 or more umbrellas on one mast could offer the ability to cover both pool and seating space at home, or multiple tables at a cafe or restaurant. 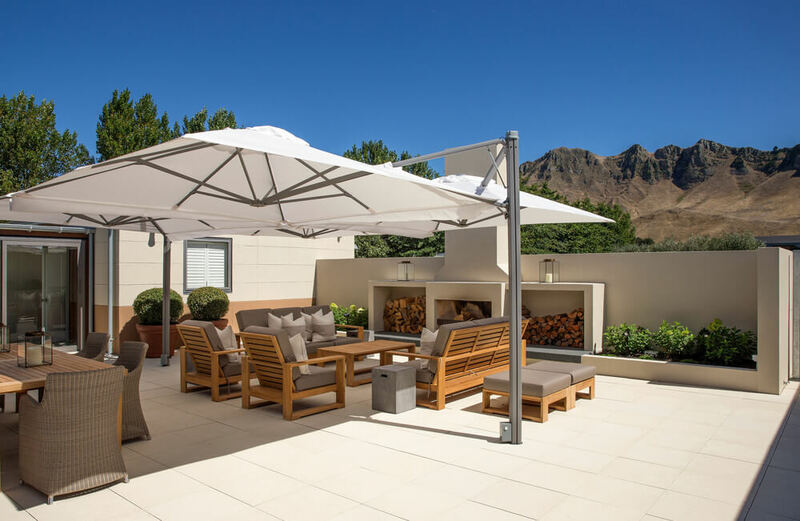 The patented sliding mechanism and the use of modern gas-strut technology allows each individual umbrella to be easily opened and closed independent of the others. No crank handle winders.... just open or close in seconds with one easy movement. 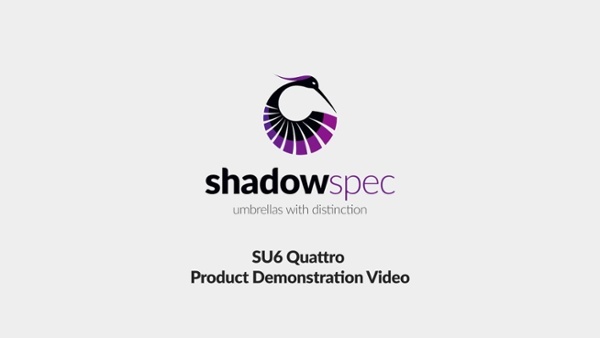 And, for when it’s not in use, the SU6 outdoor umbrella is supplied with a protective cover to shield it from the weather when folded away. 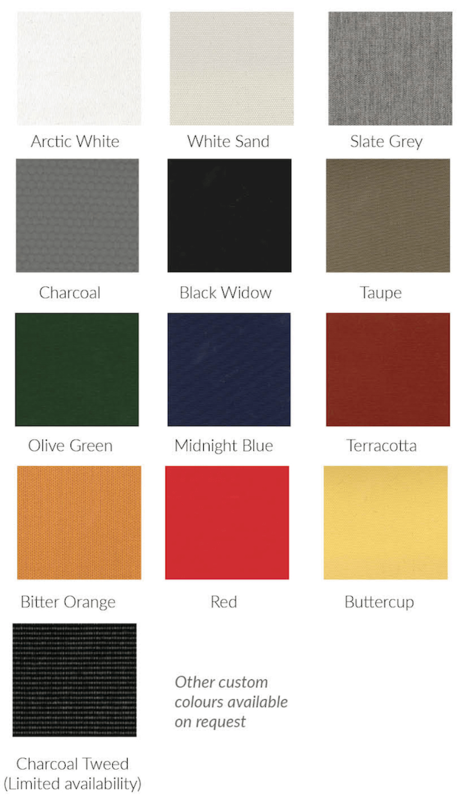 This ensures that your umbrella will withstand the weather conditions and last for years to come. Check out all the details below. 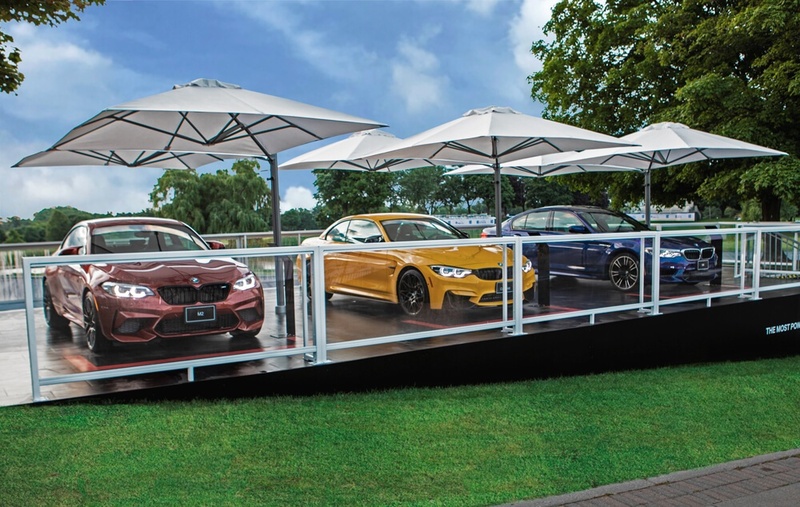 This incredibly strong umbrella system has the ability to mount up to four umbrellas off just one heavy duty mast.